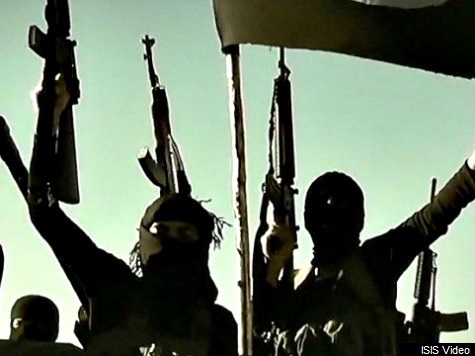 Questions have been raised across the political spectrum about whether it would be legal under European Law to stop British jihadis returning to the UK. Both Labour and UKIP questioned whether such a move would breach the human rights of the jihadis under the European Convention on Human Rights (ECHR). At today’s Prime Minister’s Question time, Labour Leader Ed Miliband sought clarification on the proposal and claimed he would “wait and see” if it was legal. This was despite David Cameron’s insistence that he would press ahead with “cross-party discussions” on how to do it. In the face of growing concerns that Mr Cameron’s plan would not stand up to a challenge in the European Court of Human Rights he said: “I do believe it is legal and permissible but it will require work.” But UKIP’s Home Affairs and Justice spokesman Diane James MEP was less convinced and claims the new law would breach the ECHR. Speaking to Breitbart London she said: “It is a complete outrage that while we are members of the EU and the European Court of Human Rights, the UK is unable revoke the citizenship and passport of Jihadi terrorists who commit atrocities abroad. “The European Convention on Human Rights (ECHR) was originally drawn up to protect genuine refugees and innocent victims of injustice. It is ridiculous that the ECHR now gives succour to terrorists rather than those people who need protection. Robin Simcox from the Henry Jackson Society believes Cameron should find a way to implement the policy. He told Breitbart London: “The ability to stop jihadists who have been fighting abroad – not just in Iraq and Syria, but also in areas such as Somalia – returning to the UK is a key tool in the national security armoury.